OTTAWA, Ontario, Canada -- Ken Lewenza, president of the Canadian Auto Workers, said the federal government should keep its stake in General Motor Co. and acquire shares in Canadian companies such as Bombardier Inc. to protect jobs and sustain the manufacturing industry. Lewenza said Canada should follow the ownership model of Volkswagen AG, where the German state of Lower Saxony holds a 12.7 percent stake, according to Automotive News data. Additional state ownership could include stakes in Canadian banks, said Lewenza, head of the country's largest private sector union, in a Nov. 23 interview in Bloomberg's Ottawa office. "We need every tool in the tool box today to preserve key industries," Lewenza said. "If you have partial ownership through shares through some kind of ownership, doesn't that give you more influence?" Canadian manufacturers have faced rising competition from China and a currency that has gained 53 percent against the U.S. dollar over the past 10 years, making their goods more expensive abroad. Manufacturing jobs as a share of total employment fell below 10 percent in October for the first since Statistics Canada began keeping records in 1976. 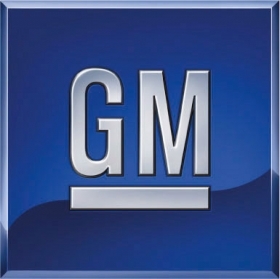 The Canadian government owns a 9 percent stake of GM, according to data compiled by Bloomberg. It sold about 35 million shares last November and still owned 140 million shares on March 31, government figures show. Canada should restrict capital inflows from moving into natural resources such as oil to stem further gains in the dollar, Lewenza said, and he encouraged Bank of Canada Governor Mark Carney to print money in order to weaken the currency. "The Canadian dollar is super-inflated only because of our natural resources," Lewenza said, calling the commodities "a negative to our manufacturing." Canada should also refrain from negotiating free trade agreements with the European Union and South Korea at a time when factories are already struggling to maintain orders, and take steps to ensure that all government procurement be spent in Canada, Lewenza said.